Nobody was surprised when Miranda Chance snagged the grand prize in our Recycled Denim Challenge for her deftly woven saddlebag. By transmuting castoff jeans and leather jackets into objects of newfound desire, the aptly christened Chance gives landfill-bound materials a fighting chance on terra firma. Despite their Down Under roots, the carryalls are the epitome of all-American utility—rugged yet elegant, classic yet contemporary, with personality to spare. Made from salvaged denim and leather, Miranda Chance’s bags come in a variety of streamlined silhouettes and sizes, ranging from the compact Abbey shoulder bag (with room for your wallet, iPad, and lipstick) to the capacious Zeppelin duffle for weekends and business trips. For in-between moments, you have the Jefferson cross-body, which took home the grand prize in the Ecouterre Recycled Denim Challenge with 899 votes, the striped La Salis messenger, and the boho Jefferson hobo. 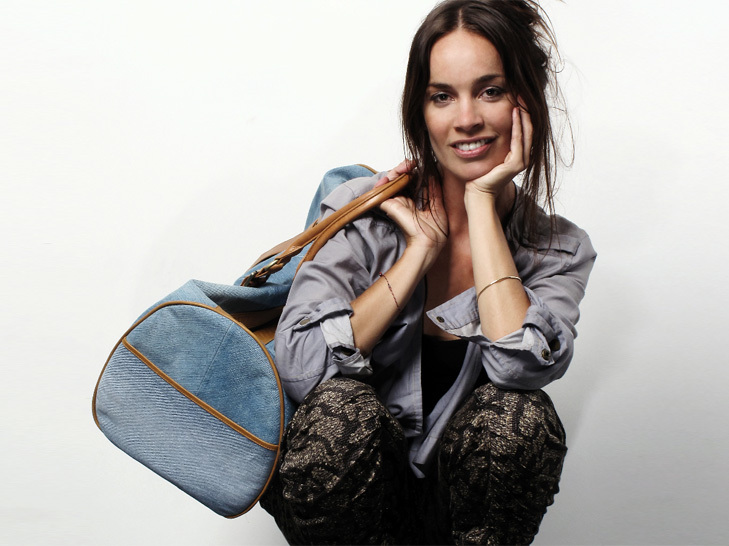 Miranda Chance's Recycled-Denim Bags are Pure "Jean-ius"
The Australian designer, who grew up in Green Pigeon, uses mainly recycled denim and reclaimed leather, along with natural dyes when they're warranted. A former model and actress, Chance apprenticed herself to various Australian designers and creative types before taking the solo route. Her eponymous collection, "Chance," comes from her desire to "create beauty without burden," using readily available, renewable resources that tread lightly on the planet. For Chance, there is no better muse than Ma Earth herself. "What inspires me?" she tells Ecouterre. "Discovering the full potential of natural technologies and our own creative prowess in a way that is in balance with the planet we live on." "Sustainable fashion to me is realising that it is possible," Chance says. "It's the way of the future." 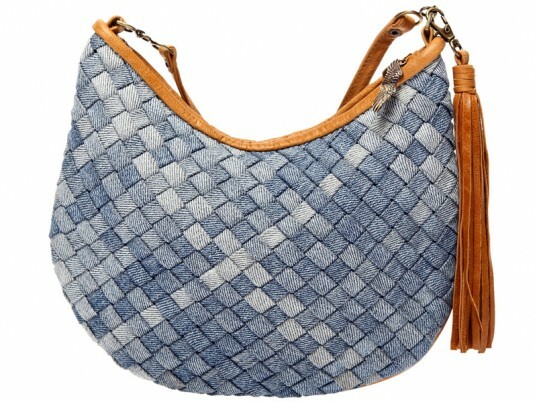 You can find a selection of her bags for sale at Chance's freshly launched website and storefront.